Creative Diagnostics offers extensive experience in the development of rapid, point-of-care, lateral-flow-format diagnostic assays. We can fully develop immunoassay test (or optimize an existing assay) according to your specifications. Once developed, we will ship the components to you, and all products associated with the project shall become the exclusive property of yours at the conclusion of the project. Full confidentiality is guaranteed. Immunochromatography strip test, or namely lateral flow test, is a simple device intended to detect the presence or absence of the target analyte. 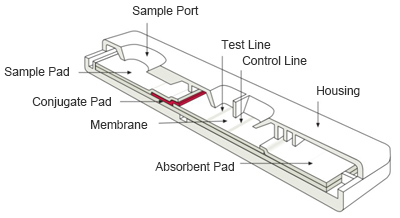 Lateral flow test can operate as either competitive or sandwich assays. It’s a form of immunoassay in which the test sample flow along the PVDF membrane via capillary action. Reader solutions – improvements in reagents, component materials, and reader technologies along with manufacturing processes mean quantitative results are achievable. Full consultation is the key to a successful project. Each project is developed to exact requirements - no off-the shelf, one-size fits all packages. We make gold-antibody conjugates for minimum aggregation and best activity through optimizing parameters, methodology, conditions and so on. Expertise is required in conjugating antibodies to colloidal gold, and in assessing which components of the lateral flow strip (such as conjugate release pads and nitrocellulose membranes) are most suitable for a particular assay. 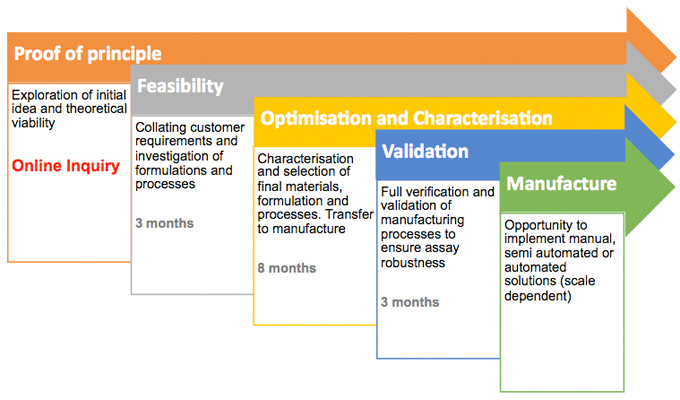 These are steps that rely as much on experience as on technical ability. The target could be small molecule. 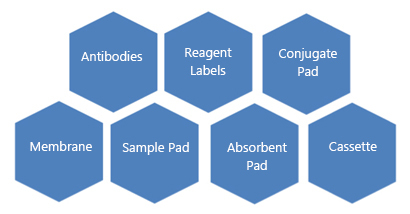 Small molecule design is our featured service; we have rich experience in developing small molecule antibodies and lateral flow strip products. Perfect supply chain and strict quality controls designed to minimize lot-to-lot differences, ensure high sensitivity and provide complete quality documentation.